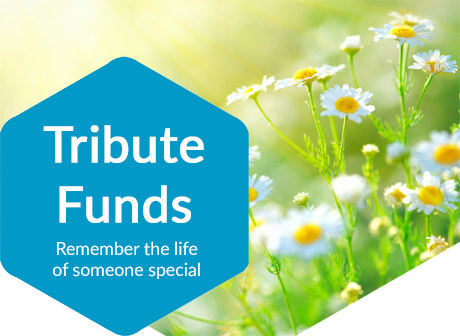 A St Elizabeth Tribute Fund set up in your loved one's memory is a lasting way to remember and celebrate the life of someone special. Setting up your Tribute Fund is simple, and once set up it can provide a focal point for family and friends to share thoughts and memories, as well as light candles, add photos, videos and music; even continue celebrating birthdays and anniversaries. At St Elizabeth Hospice, we improve life for those living with a progressive illness through palliative care. We focus on the individual's needs including specialist support if required. Your Tribute Fund will help us care for patients in their home, in the community, or at the hospice; offering support both to them and their families as they cope with problems such as pain, anxiety, fatigue, as well as practical advice. There are many ways you can raise money, from attending a hospice event or hosting your own. Your support is vital to the running of St Elizabeth Hospice and ensures we are able to continue providing our services now and in the future. The Hospice and many of our supporters organise a range of events and challenges which are held throughout the year. Organising a fundraising event is a fun and rewarding way you can help. Why not visit our fundraising page for inspiration.